Home evm_machine hacked research Can the EVM machines used for Indian elections be hacked or tampered? Yes, EVMs can be tampered. But process is not trivial. Also, you need physical access to control unit, seal breaking of unit, time and lots of technical knowledge. 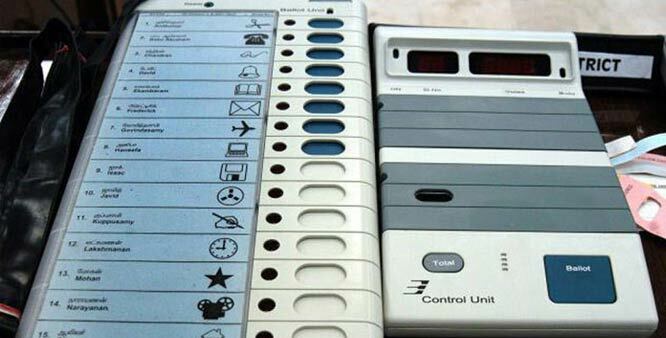 Indian EVM uses micro controllers manufactured by Renesas(Japan) and Microchip(USA). These micro controllers have their firmware i.e. software code, stored within a One Time Programmable Non Volatile Memory OR field programmable read-only memory[FP-ROM]. From time to time, doubts have been raised over the EVMs. The Supreme Court had directed the Election Commission in 2013 to introduce a paper trail in EVMs in a phased manner. A lot of people have said if something as safe as a bank account can be hacked, why not an EVM. Hacking would require an EVM to be connected to Internet but EVMs have no internet connection. So, hacking an EVM is not possible. How EVMs can be tampered? A small chip with a Bluetooth connection can be inserted into the machine. The chip can be controlled from a mobile phone to influence results when the voting is taking place. However, it may not seem possible that such chips can be inserted in lakhs of voting machines. Also, this kind of tampering will have to involve hundreds of people at different stages—including various centre and state officials—which makes it very difficult to keep the tampering secret. Can it happen that people press on one party and vote goes to another? For this we should understand the concept of VVPAT. The VVPAT, or voter-verified paper audit trail, means letting voters know, through printed pieces of paper which are kept as record, that the votes have really gone to the candidates they have voted. The paper trail is seen as one way to remove doubts about the efficacy of EVMs. So if that would be the case the people would have known that their vote is going to someone else. So, practically its impossible to tamper enough EVMs to overturn General Election results. There are some videos which claims to demonstrate that EVMs can be easily tampered. Those are fake. First you can’t just get genuine EVM used by Election Commission in market to buy and show it can be tampered easily. There are few videos which shows the process on emulated EVM on screen. Come on, that’s ridiculous. One can write such emulators to whatever they want. Even I can write and give you such fake emulator which gives your desired results. Those are not EC official EVM emulators or how EVMs actually work. Those are fake created by some people to just fool people to believe how easy it is to tamper EVM which is not the case.